Anish Kapoor "Teardrop' Lamp, 1999 MDF and parchment Signed in ink 'AK' to reverse Fully functioning, and produce a beautiful, diffused, subtle glowing light. Produced in collaboration with the Tate Gallery and Homebase, this lamp was one of nine designs by leading British artists and sculptors for the "At home With Art" project - conceived by Tate Curator, Colin Painter, in an attempt to bring contemporary art into domestic life. 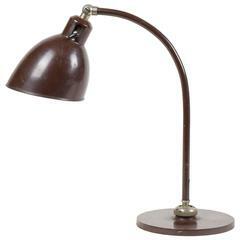 The objects ranged from pure sculpture to functional items such as this stunning and elegant lamp. Other artists involved in the project included Richard Wentworth, Antony Gormley, Alison Wilding, Permindar Kaur, David Mach, Angela Bulloch and Richard Deacon We have a pair of these rare lamps available, offered either individually or as a pair. One is unused and the other has had only very light use. Both have original boxes. Both lamps appear to have been produced in a quite low-tech manner and have some slight manufacturing imperfections, especially with regards to the folding and attachment of the translucent parchment. This is pleasing and adds to the character. 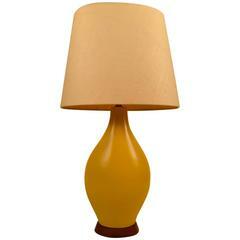 The second (slightly less good condition) lamp can be offered at a discount of 25% when purchased together as a pair. 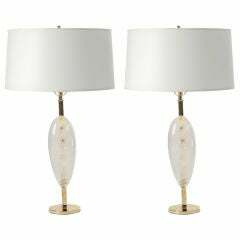 Solid hand-carved rock crystal teardrop shape lamps on brass lamp posts attach with brass fittings. 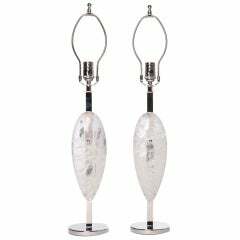 Hand-carved and polished rock crystal teardrop sculpture lamps with nickel-plated brass hardware. 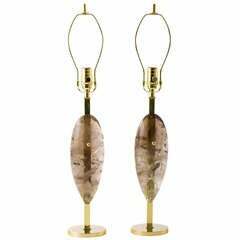 Pair of handcrafted smoke quartz crystal teardrop lamps with brass base and fittings. 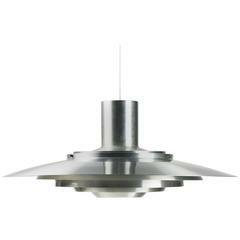 May be custom ordered in additional finishes, satin nickel, brushed nickel, or chrome. 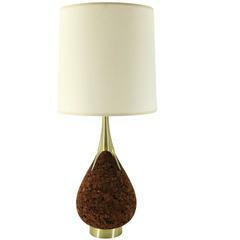 Phenomenal and much sought after cast metal with "wood look" appliqué Laurel lamps in remarkable condition. Some slight scratching and wear to the bases, and the shades have minor wear.